To choose a video player the user needs to ask himself some questions. First is the nature of video to be played, what the user is expecting about the player, how the video is encoded and what is the budget of the user is. HTML5 web browsers cannot handle all the formats and codecs. To reach more viewers on multiple devices the user should be able to deliver the video content in minimum two formats. The forms depend on the target audience. The next consideration for choosing the best and flexible video player is to check the features. Basic playback, play, pause are the most common features, and other desired characteristics include the full-screen display, volume control, skinning, etc. check if the video player also offers closed caption/subtitles option, ad insertion, audio track selection, playlists, watermarks, etc. JW Player is one of the most used media players. Free as well as paid plans are available. 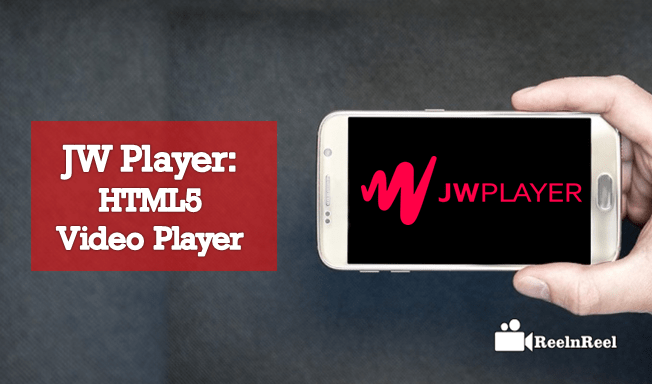 JW Player can be used to play the most common video and audio formats. It is cloud-based. It has multiple skins. It has around nine different player skins. Its other features include the custom branding, social sharing, Google Analytics support, caption, HD switching and much more. JW Player is the most used video player and OTS player. Jeroen Wijering created it. JW Player is self-hosted as well as cloud-hosted video player. Implementation of the player is straightforward. It updates automatically. This most advanced video player and it is responsive HTML5. There is no need to have technical knowledge or experience to use the JW Player. Anyone can publish video with this player. It is easy to add the external URLs or to upload videos to the platform. Video metadata can improve by adding the tags, descriptions, thumbnails, etc. Another exciting feature of the video player is the Ad schedule builder. Content performance can be analyzed based on device, geography and domain activity. JW Player is fast and using it on your website does not affect the loading speed of the webpage. The playback is immediate and gives a better viewing experience. The design is mobile optimised so that the viewer interaction is improved. The load time of website should not exceed two seconds, according to studies. It can lead to video abandonment rate increase. If the video keeps buffering, negative emotions will create an engagement decreases. Publishers thus should choose a player that does not cause poor playback. JW player claims that their goal is to provide excellent load time across all devices and browsers, so that buffering screen does not appear to the viewer. Only the necessary components loaded during playback. JW Player is lightweight. The embed script of JW8 is smaller and thus makes fewer server requests. The entire website experience improved with JW Player. Customizing the JW Player is easy. Brands using the media player can customize as per their branding needs. There are more customization options for the publishers. JW overhauled the entire customization process for its upcoming release. The new customizations provide greater control and increase ease of use. They also introduced a player builder. JW Player is available for free trial under starter category. The core feature for this category is HTML5 video player, HLS, Dash Adaptive streaming analysis showcase video gallery and others. The starter package is suitable for content creators and developer used price is $10 per month and billed annually. The free trial on starter edition can use for fourteen days. After this period the user is rolled into an annual subscription. The business package priced $50 per month, and this also billed annually. Advanced features like live event streaming and real-time video analytics can be accessed. These features up to 1500 videos and is suitable for small businesses and agencies. Another JW Player pricing option is Enterprise. This package is better suited for publishers and broadcasters. High volume streaming, no revenue sharing, and ad integration are the interesting features. The users can get VAST/VPAID advertising, certified Google IMA integration, advanced ad scheduling, out stream ads and other ad support. JW Player is very flexible. Based on the requirements of the users, there are different ways in which it can put on a webpage. Basic and advanced embedding methods are available. These are chosen based on where the player and the video hosted. Single line embed is suitable for individual publishers. The only line embed code can obtain from a dashboard. For those who want to host own player and use the services of JW platform, custom embed is the most suitable one. Download the player from the dashboard, get the license key, and follow the instructions carefully. Write the embed code for the page.